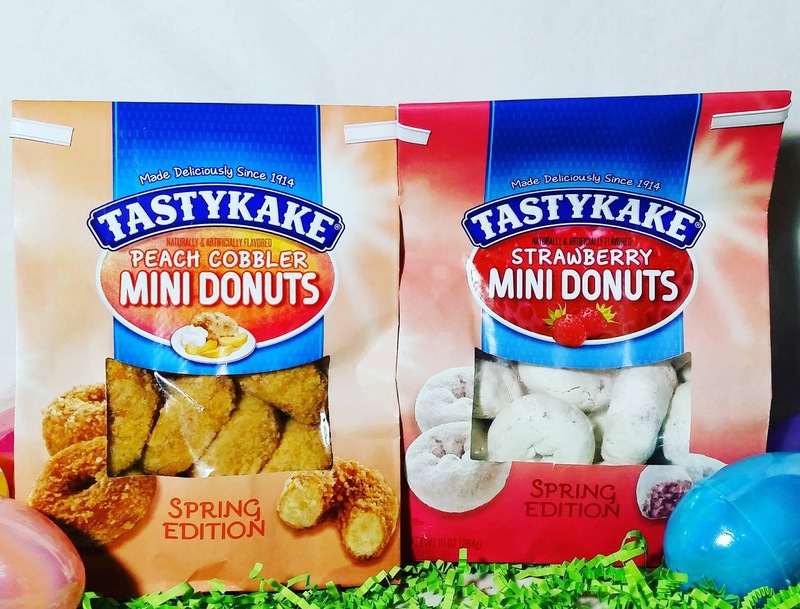 Every bunny loves Spring time treats from Tastykake. Any of these treats would make the perfect treat for your Easter get together, school parties and Easter baskets. 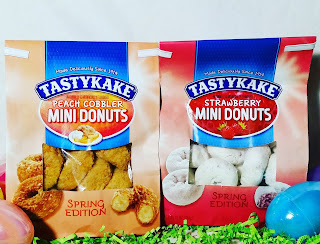 I developed a love for all things Tastykake when I tried the Peanut Butter Kandy Kakes® many, many moons ago as a kid. 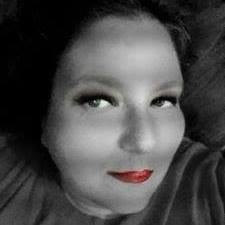 I love seeing all the new flavors and add them to my shopping list weekly. 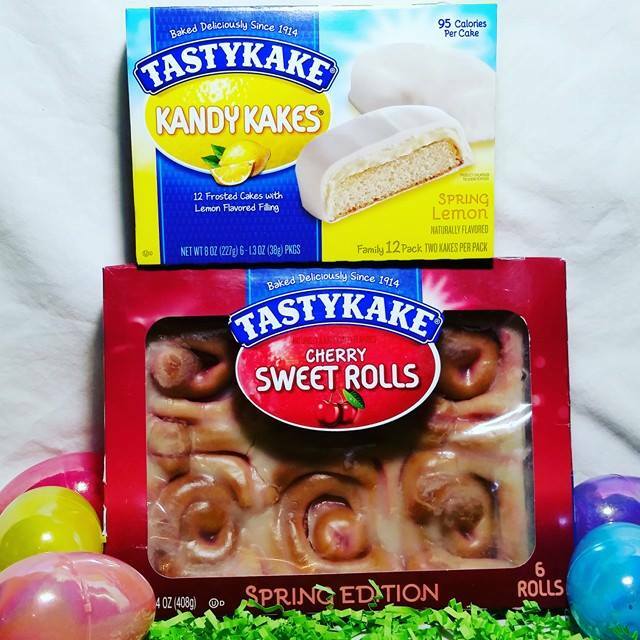 Tastykake has a freshness and flavor that really stands out. Click here to find a store near you today, remember these are only in stores for a limited time so get to hopping! Click here for some great recipes using these treats too. Lemon Kandy Kakes are a springtime twist on a Tastykake classic. These treats feature moist, white cake layered with lemon flavored filling covered in white confectionary coating. Peach Cobbler Mini Donuts feature a fluffy, white cake donut enveloped in a sweet, crunchy layer of peach cobbler crumble. Powdered Strawberry Mini Donuts feature a pink, strawberry flavored cake donut covered in sweet powdered sugar. Frosted Strawberry Mini Donuts include six pink, strawberry-flavored mini donuts bathed in a rich chocolate coating. Cherry Sweet Rolls feature a sweet roll with delicious cherry filling and topped with creamy icing. Coconut Hippity Hops Kandy Kakes feature a circle of fresh coconut covered in rich dark chocolate. 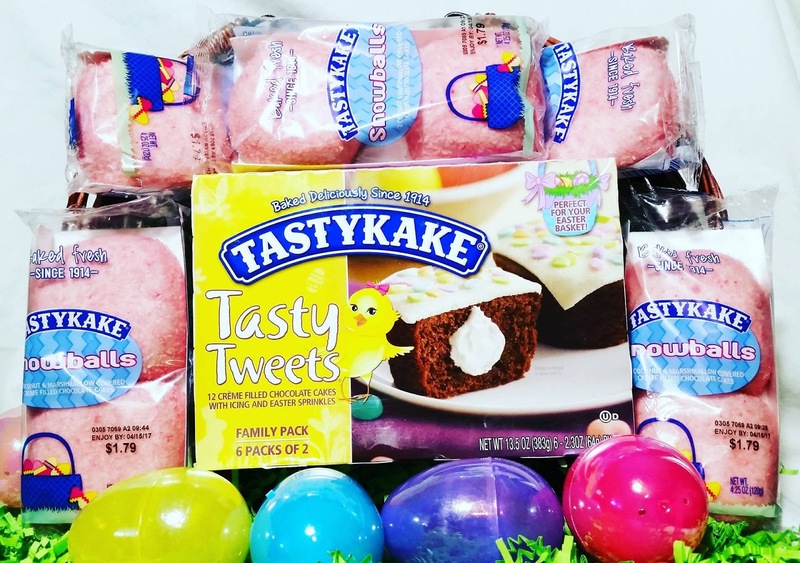 Easter Snowballs are delicious creme filled chocolate cakes covered in a pink coconut marshmallow coating. Tasty Tweets Cupcakes are creme filled chocolate cakes topped with scrumptious icing and colorful Easter sprinkles.